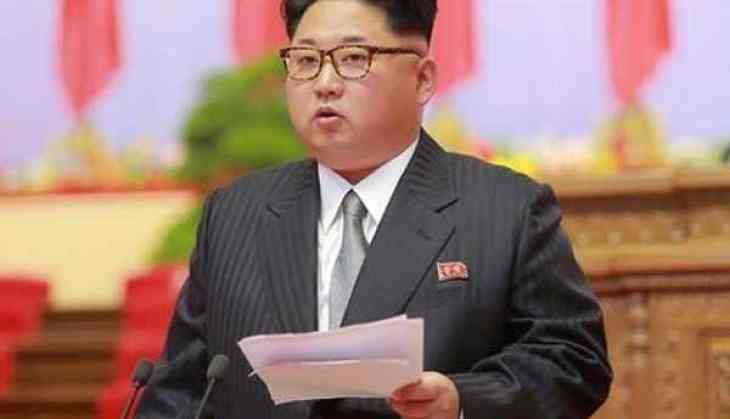 North Korean leader Kim Jong-un has expressed his willingness to bolster its relations with China while thanking the Chinese President Xi Jinping for sending an envoy to attend the regime's 70th founding anniversary last week. Citing Yonhap News Agency, the Korean Central News Agency (KCNA) reported that Kim expressed his "deep gratitude" on Xi's message and said that his government wishes to strengthen its ties with the Chinese leadership. Commenting on Li Zhanshu, a special envoy sent by Xi to attend the military parade in Pyongyang, the North Korean leader underscored that it made him and the citizens of the country feel more affectionate to the Chinese people. "I will join hands with President Xi Jinping to work actively to further develop the relations and friendship and continue close cooperations," KCNA quoted Kim as saying. Kim added that the bilateral ties based on the foundation laid by the previous leaders of both countries "have been developing according to the needs of the new era", according to him. Li, who also met with the North Korean leader separately, handed him a personal letter from Xi. According to China Central Television (CCTV), the Chinese president said, "China and North Korea, through the three past summits with Kim, opened a new chapter in the development of bilateral relations. (I) want to develop North Korea-China relations more quickly by implementing the two sides' common understanding." Kim has visited China three times this year, twice to Beijing and once to the northeastern city of Dalian, meeting Xi on all the three occasions. The two leaders held talks on bilateral ties and denuclearisation of the Korean Peninsula.